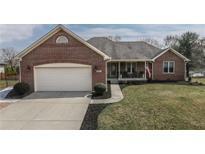 Below you can view all the homes for sale in the Brookstone subdivision located in Greenwood Indiana. Listings in Brookstone are updated daily from data we receive from the Indianapolis multiple listing service. To learn more about any of these homes or to receive custom notifications when a new property is listed for sale in Brookstone, give us a call at 317 979 0009. You’Lower Level be proud to show this home off to your friends. MLS#21629113. RE/MAX Results. Lots of UPDATES AND UPGRADES throughout so take a look inside before you decide. MLS#21624074. 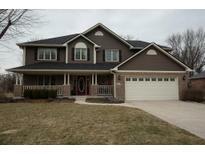 Indiana Realty Pros, Inc..
Too Many Updates to List, Must See! MLS#21614908. Jeff Paxson Team.